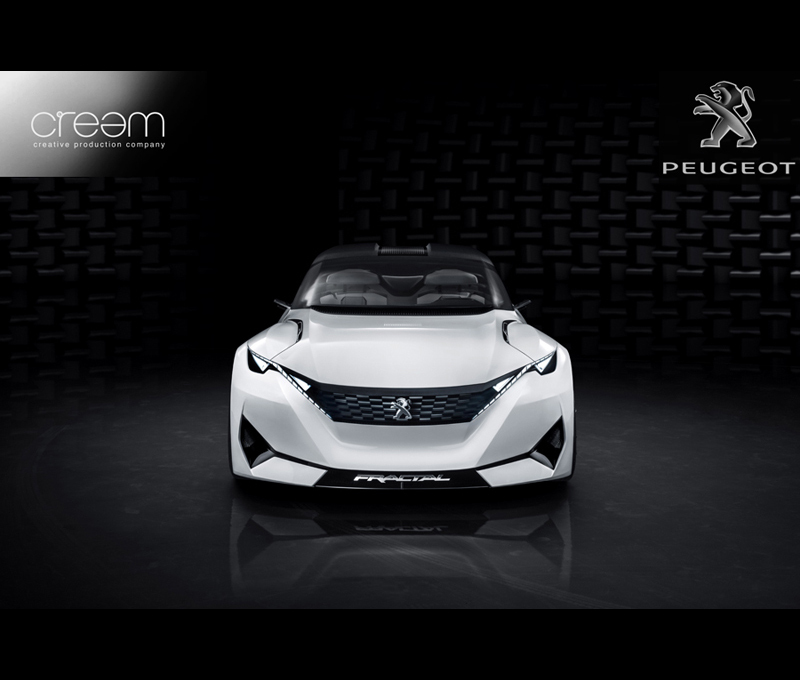 This week we would like to celebrate our new association with 'Cream' the dynamic Paris based creative production company, and also the launch of the Worldwide first campaign for new client Peugeot. 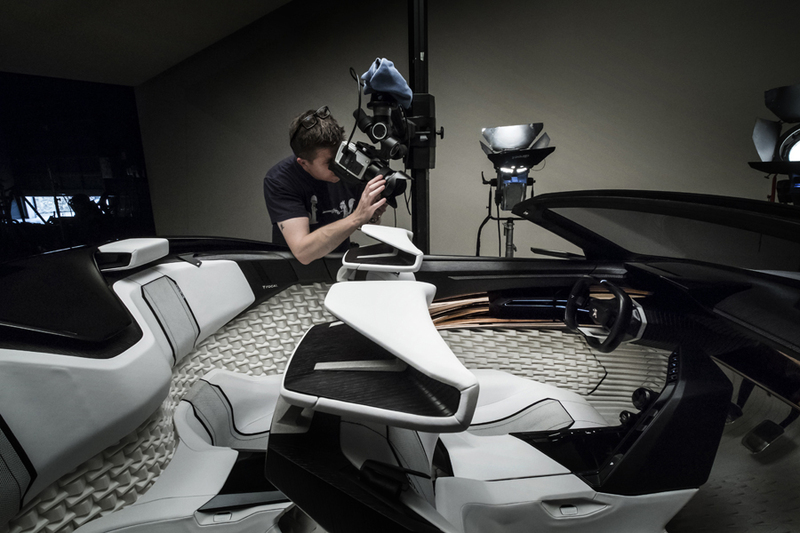 In 2015 we were approached by a established and dynamic production company based in Paris, Cream, when Peugeot were looking for a new exciting campaign to be delivered for the launch of their new concept car, 'Fractal'. 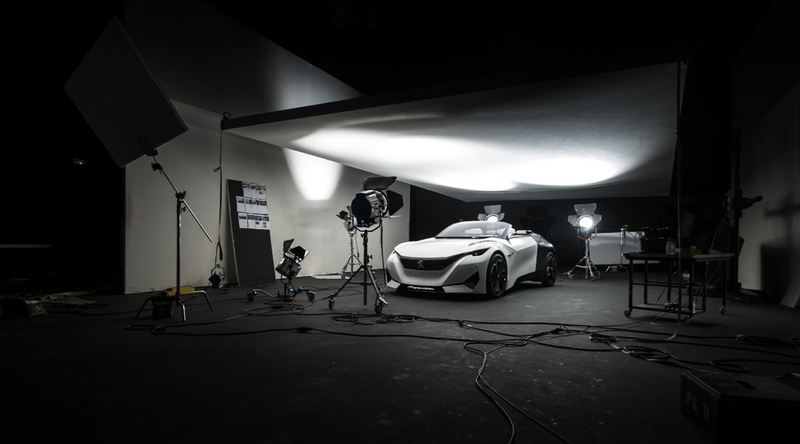 Their concept car was launched at the Frankfurt Motor Show in 2015 and it represented a major capital investment in showcasing their new concepts and future technologies to a worldwide market so getting the right photography and media was very important. 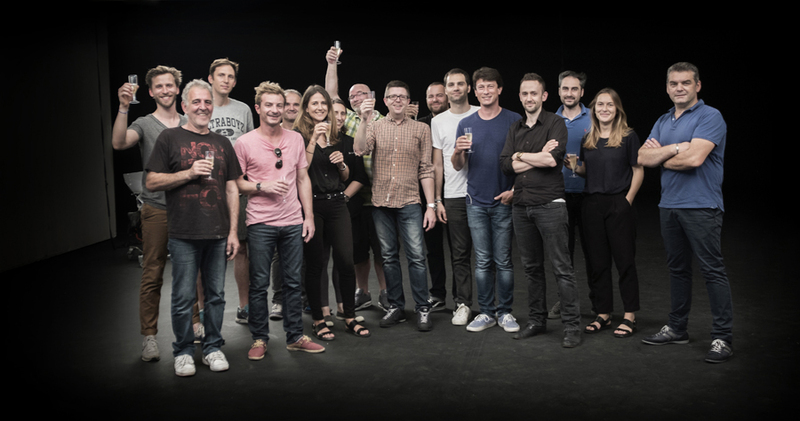 Peugeot were seeking a very dynamic set of photography for the project and engaged AmbientLife photographer Tim Wallace to shoot the stills for the 2015 worldwide campaign. 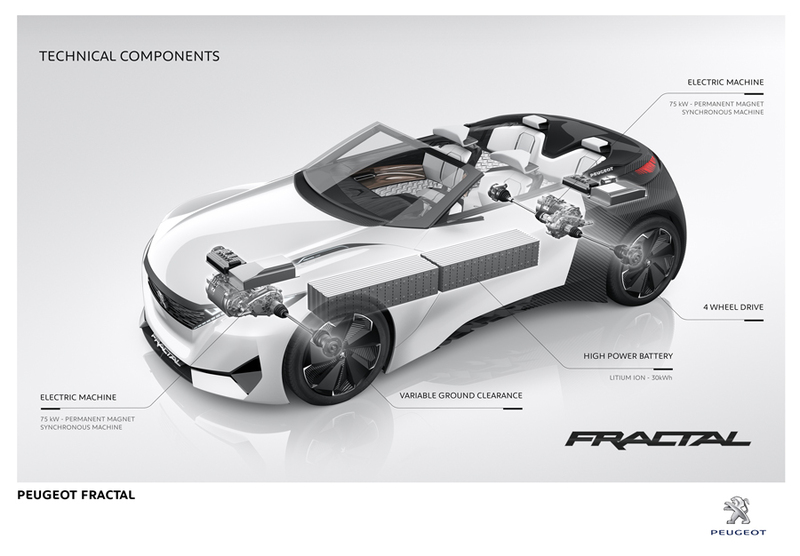 In 2015 we were approached by a established and dynamic production company based in Paris, Cream, when Peugeot were looking for a new exciting campaign to be delivered for the launch of their new concept car, 'Fractal'. Their concept car was launched at the Frankfurt Motor Show in 2015 and it represented a major capital investment in showcasing their new concepts and future technologies to a worldwide market so getting the right photography and media was very important. 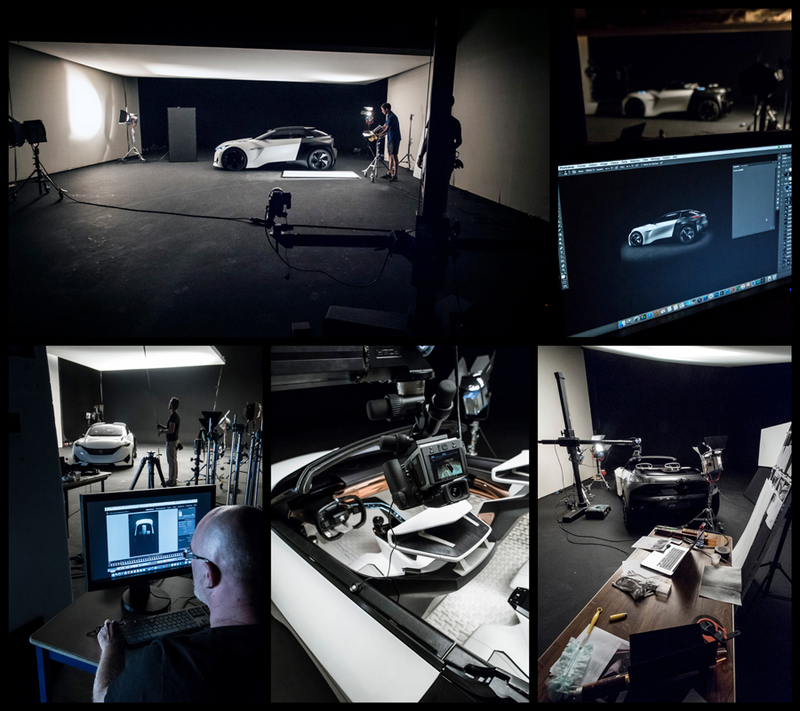 Peugeot were seeking a very dynamic set of photography for the project and engaged AmbientLife photographer Tim Wallace to shoot the stills for the 2015 worldwide campaign. 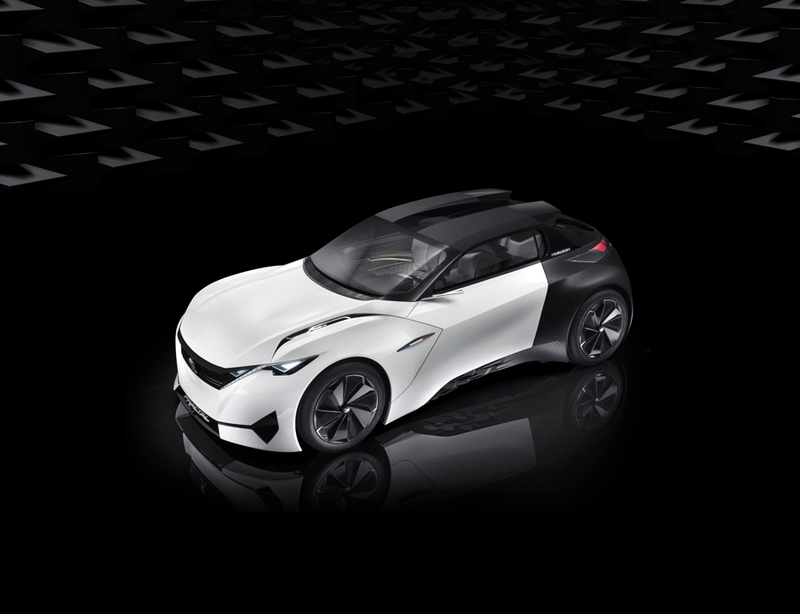 Tim worked very closely with Cream Production in Paris to look at what the Peugeot concept for the car was and a team was put together to shoot the photography element of the campaign over a 4 day period at the Peugeot Design Headquarters in Paris. Tim "Peugeot is a great client from my perspective as the design team is very strong indeed and they have great vision for how they want to sculpt the photography around their product and branding. 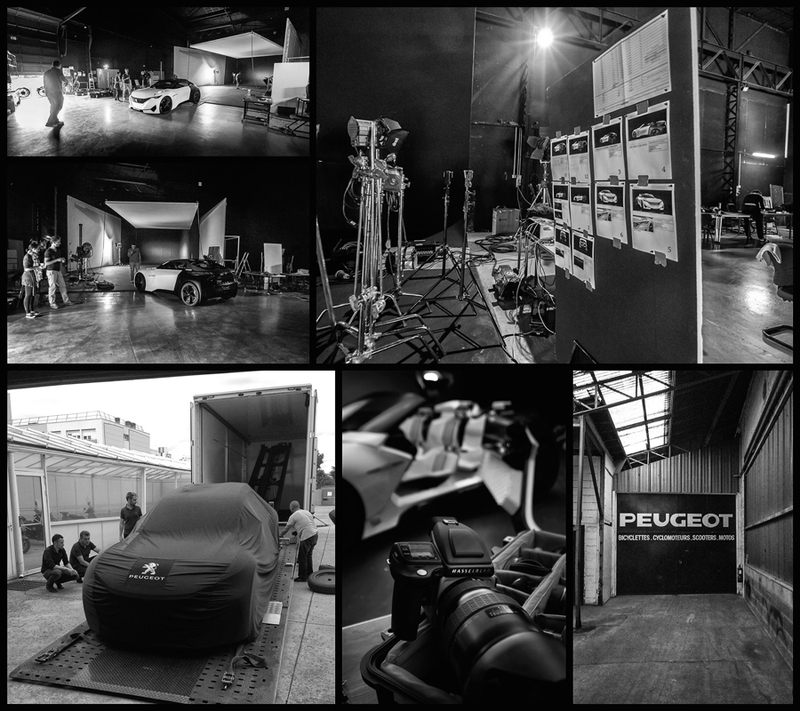 At Peugeot it is very much all about 'emotion' so when they first approached me through their production company it was a very quick fit from a style point of view. Shooting any campaign is a large and involved process and shooting their new concept was something that I was personally very happy to be involved with. As with any type of worldwide campaign its crucial to ensure that everything is planned and worked out well in advance so that during the days of actual shooting the team can concentrate fully on creating and producing the photography that is required. I was very lucky to have Cream Production based in Paris taking control for this shoot, the team there are both dedicated and vastly creative and having such a well organised production house involved can really help to make sure that as a whole the project gets the very best result possible for the client." 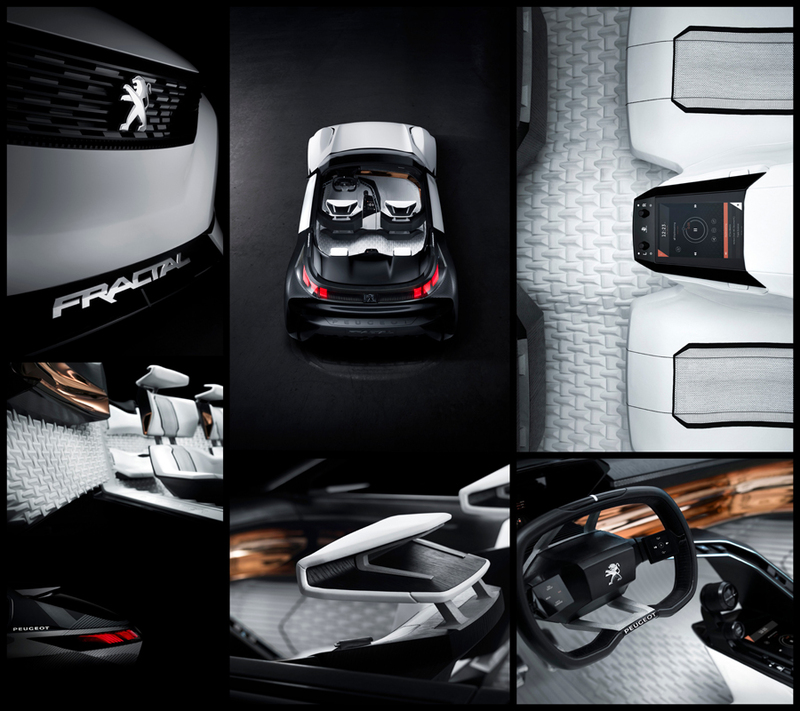 Peugeot revealed the second generation of its i-Cockpit interior design language with this Fractal concept at the Frankfurt motor show. 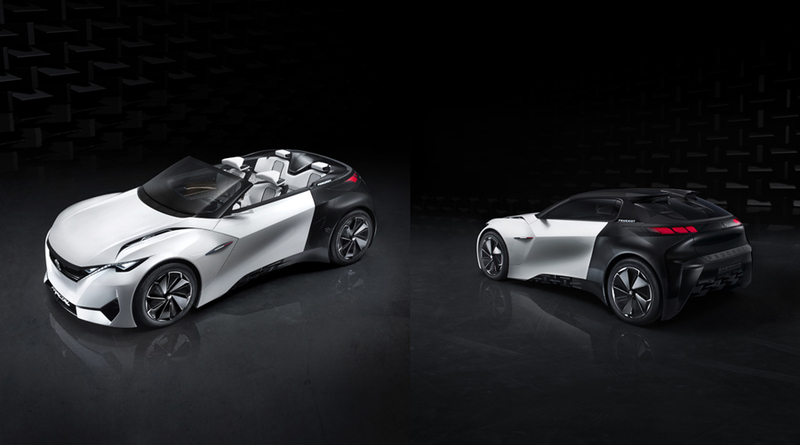 The two-door, four-seat concept, described as an ‘urban coupé’, is powered by two 168bhp electric motors - one located on each axle - with a combined output of 335bhp. The Fractal has a range of up to 280 miles on a single charge with motors that are fed from a lithium ion battery pack mounted in the centre of the car. Measuring 3.81m long by 1.77m wide, the concept, which features a removable roof, sits on 19in ‘Tall&Narrow’ wheels and weighs just 1000kg. The Fractal can hit 62mph from rest in 6.8sec. The minimalist cabin features a small steering wheel with integrated touchpads that can be used to control most infotainment functions. 80% of the interior has been created using 3D-printed components. The design was inspired by the materials and surfaces used in auditoriums and recording studios. 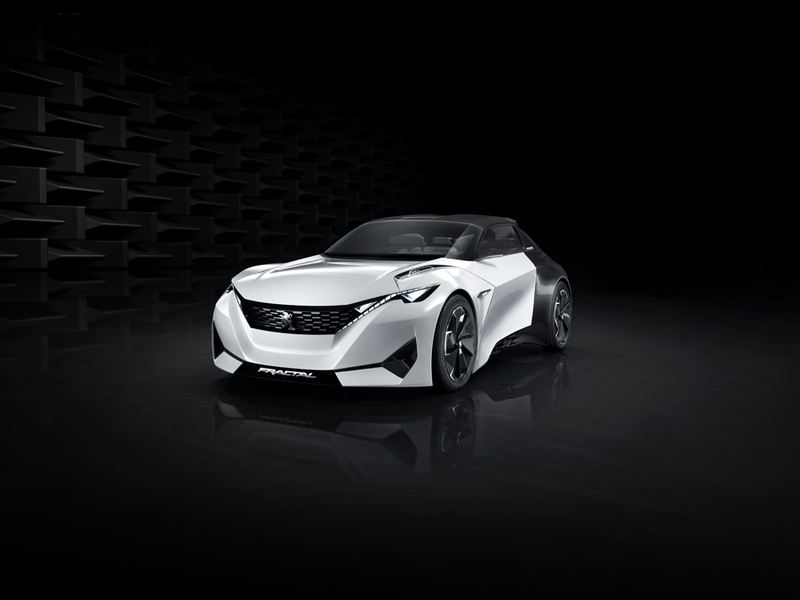 The Fractal features a next-generation sound system, which Peugeot designed to create the illusion of direction with sound, such as when delivering navigation instructions. The seats of the concept feature a ‘tactile’ system for delivering bass sound. 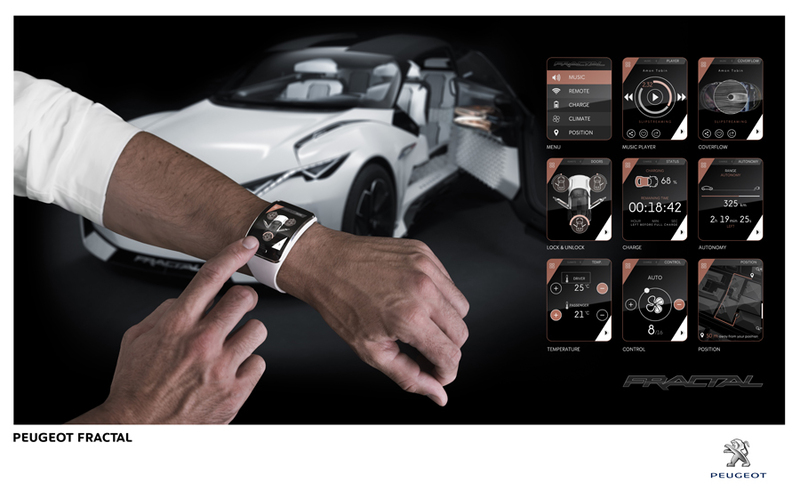 One of the most important features of the Fractal concept is its digital sound signature, which is used to alert pedestrians and cyclists to its presence. The sound is a response to forthcoming European legislation that states that all electric vehicles must make some sort of sound while driving by 2019. 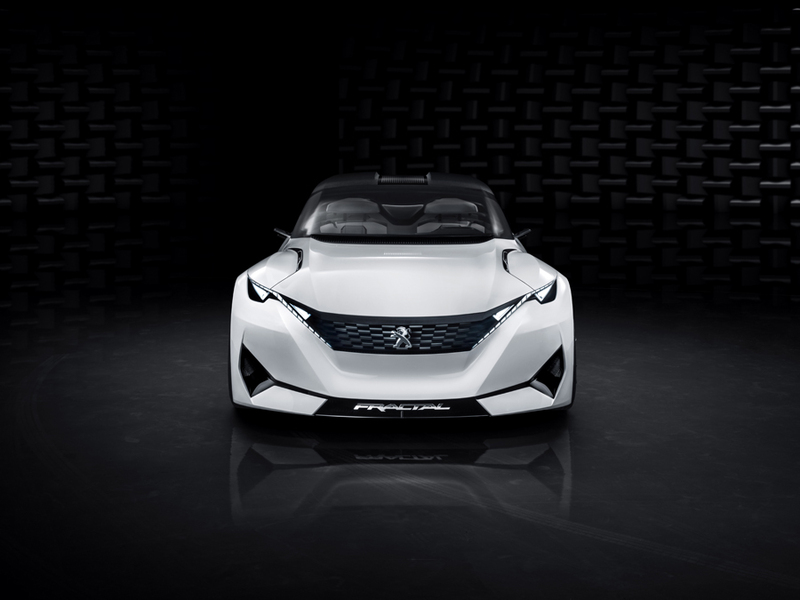 Peugeot is one of a number of car makers that collaborated on the eVADER project, an EU-funded initiative to develop a sound symposer system for EVs. 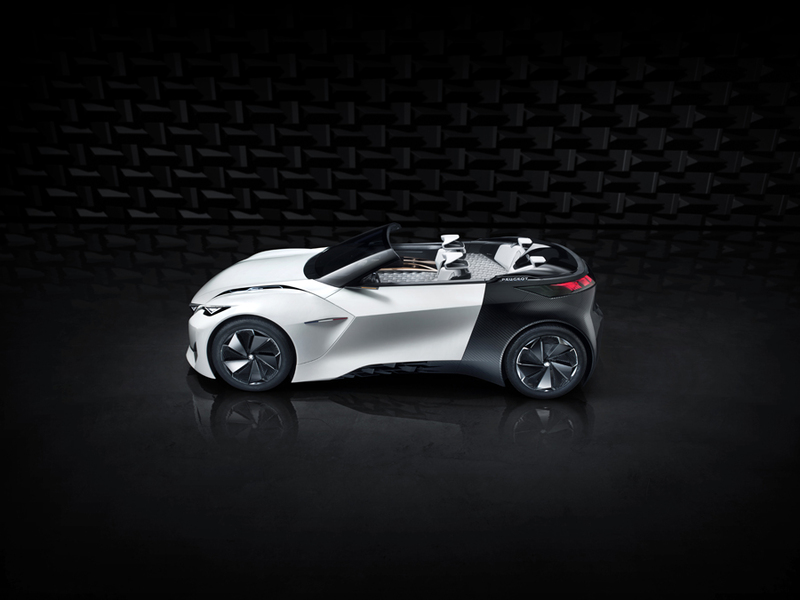 In incorporating the eVADER system into the Fractal, Peugeot has as good as confirmed that it is working on a next-generation EV. Currently, the firm only has the iON electric city car. 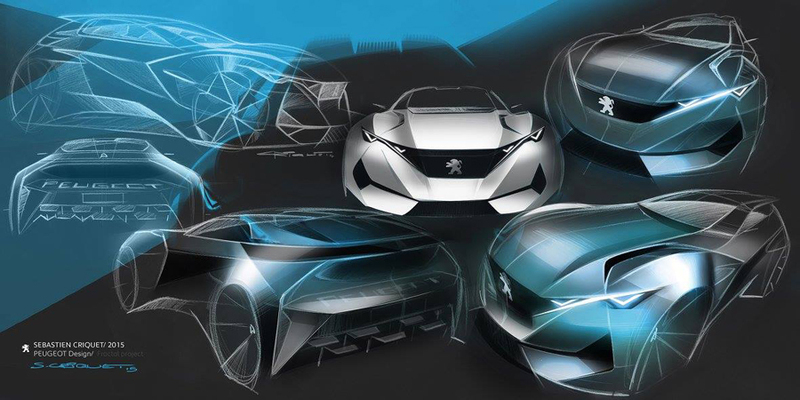 Tim "Working with Cream Production and the Peugeot designers was a really great experience and even through we had a huge amount of work to get through over the 4 day window it was always a great atmsophere and very much a team effort with everybody pulling together for the common goal. The actual shoot occurred in late July and it was a period that month when Europe was hit with a heat wave ! We had points over the 4 days when temperatures outside were hitting over 36 degrees centigrade meaning that temperatures in the studio under all that continuous lighting were hitting the high 40's. We were not really able to have the studio doors open very often as the design centre studio is slightly over looked by nearby flats and it was a big priority to make sure that the car was kept well hidden at all times so that the outside world did not get sight of it at all before launch. Over the 4 day period I worked with my two lighting assistants, Peter and Hugo, who were both totally amazing guys who were fully committed to making sure that we got the best results possible. As with any lighting shoot you hit issues and problems that need to be resolved and that again is where team work comes into play. I think we had a few moments when Hugo was literally using his own body weight to anchor the floating ceiling as far as we could while Peter ran round trying to switch lighting out that was quite literally exploding with the build up of heat in the black studio. We worked firstly on the 'static' shots of the exterior of the car and I shot all the work on the new Hasselblad H5 50 CMOS that has built in WiFi, shooting tethered to a macbook and then feeding that input back to Pascal my digital retoucher who would compile and verify that we were safe to move on to the subsequent shots as we progressed through the shoot brief."